The irony is clearly intentional and the last stanza could apply to this poem as well as the deleted one. It has a satisfying completeness that is sometimes lacking in other humorous poems where the poet is so busy building towards the punchline that, once the reader’s got the joke, there’s no need to read the poem again. Like other initial poems, it plays on the limitations of poetic forms and those restrictions are as much part of the joke as the words employed. artists like this man Millais. ‘So what do you do?’ she said, eventually. ‘I’m a philosopher,’ he said, in a tired, old voice. ‘Oh,’ said the girl. ‘I did that once. The humour throughout is underpinned by an intelligent playfulness reminiscent of Tom Lehrer’s songs which also played with forms of expression and common phrases. Like those songs, Jonathan Pinnock’s poems allow readers to laugh along or recognise the underlying serious point being made. That’s the strength of these poems: they have something to say which gives them a depth beyond simply making the audience laugh. 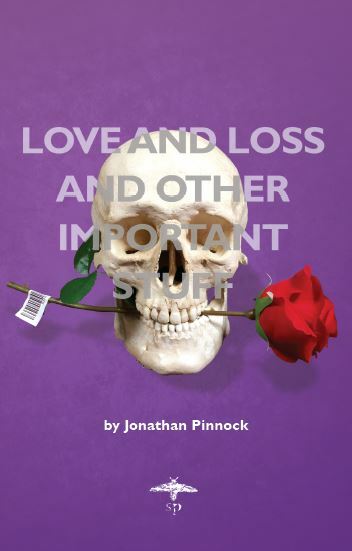 “Love and Loss and Other Important Stuff” by Jonathan Pinnock is published by Silhouette Press.